I am ALWAYS looking for ways to simplify our dinner routine because it’s the most chaotic part of my day. That’s why I was thrilled to partner with Once a Month meals because they’ve mastered the art of easy dinners! 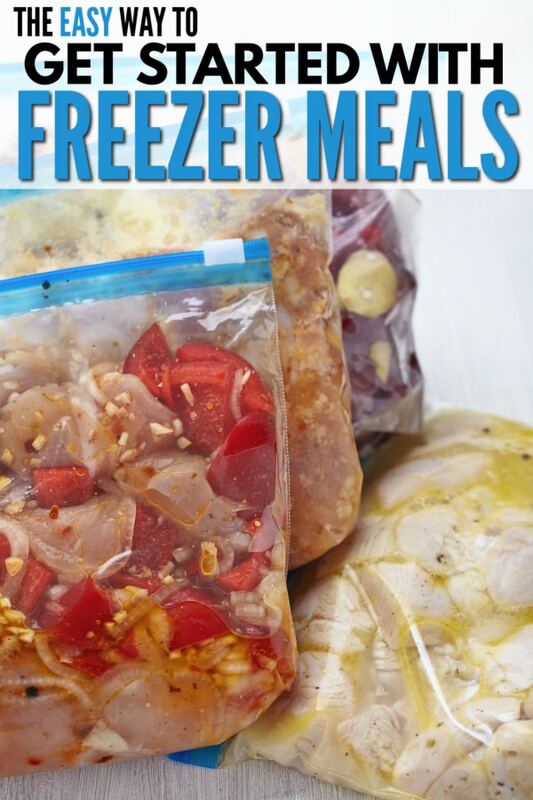 They take the concept of freezer meals and make it not only super simple, but also tons of fun! This is seriously the easiest way to makeover your dinner routine. It’s a membership site chock-full of freezer meal recipes that you combine into your ideal menu for your family. Then, you just print your instructions, buy the groceries (from the shopping list that’s provided for you), make the meals and freeze them. 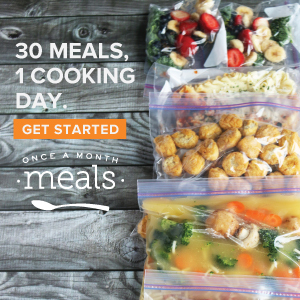 Each day, you simply thaw one of the meals and reheat it for an effortless dinner! This way, you can prepare your meals when you actually have the time and energy to make them. And let’s face it, that’s rarely at the end of a long day when you’re rushing to and from work, school, and activities. In addition to the amazing menu builder you also get one-on-one real-time support during their customer service hours and a weekly newsletter full of tips, recommendations, and encouragement. And for my fellow cooking show enthusiasts, they also host a weekly online freezer cooking workshop. You can watch it live every Wednesday. What Kind of Recipes Will I Find? Even better, you can filter by multiple types! So, you can easily find dump-and-go keto Instant Pot recipes in a few clicks. Here’s another great thing about Once a Month Meals, you don’t have to pay for the membership before trying it. They have free mini menus that come with 5 recipes so you can see if their system works for you. I love their system so much, I’ve shared five of my own Instant Pot recipes with them, which they’ve converted to freezer meals and turned into a FREE mini menu! You can snag the mini menu here and see if you like the freezer meal versions as much as the originals. Once you see how easy they make it to whip up 5 family meals, I know you’ll understand why I love Once a Month Meals! Because Once a Month Meals is committed to providing a quality service to its members, they only open enrollment a few times each year. This way, they can provide amazing customer service and also devote significant time to finding and creating more recipes. Even if you visit them when they aren’t accepting new members, I encourage you to download a free mini menu and sign up for the waitlist so you’ll be one of the first people to know when enrollment does open.